Skagit County is in northwestern Washington state in the northern Puget Sound region. The county has upwards of 117,000 residents and is located between Whatcom County to the north and Snohomish County to the south. The eastern portion of Skagit is made up of the thick forests belonging to North Cascades National Park and Mt. Baker-Snoqualmie National Forest. The western edge of the county borders the water on Skagit, Padilla, and Bellingham Bays, and includes Fidalgo, Guemes, and Cypress Islands. The San Juan Islands are just west of these islands, but the Rosario Strait marks the county’s western border and San Juan is not included. The county seat and largest city is Mount Vernon, population 32,000. Anacortes and Sedro-Woolley are the next largest cities; all other cities have populations under 10,000. Skagit County is not a densely populated area, in fact, most cities and towns are quite rural and agricultural. The county is well known for its seemingly endless tulip fields which draw thousands of visitors when in bloom. 3 Beds | 2.25 Baths | 1574 sq. Ft.
3 Beds | 1.75 Baths | 1196 sq. Ft.
Blue Summit Realty has the most accurate and up to date Skagit County real estate listings on the web. Currently there are 360 homes for sale, 28 condos for sale, 22 rental properties, and 337 vacant land properties in Skagit County. Of the 752 total Skagit County residential listings for sale 3 are bank owned, 1 are short sales and 82 are new construction and 3 are townhomes. The price ranges from $30,000 to $6,000,000 with a median list price of $483,616 and median sold price of $352,563. Make sure to refine your Skagit County real estate search by property type, price, square footage, bedrooms, bathrooms and more with the search tool above or view the Skagit County listings on our interactive map. 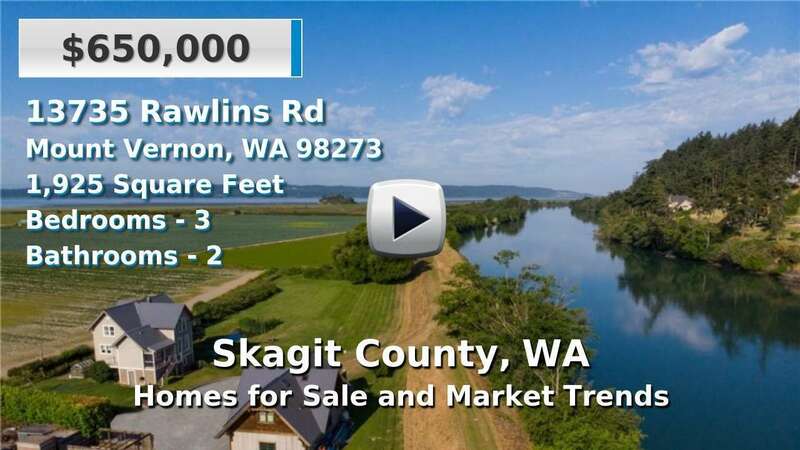 Our Skagit County real estate listings were updated 6 minutes ago.